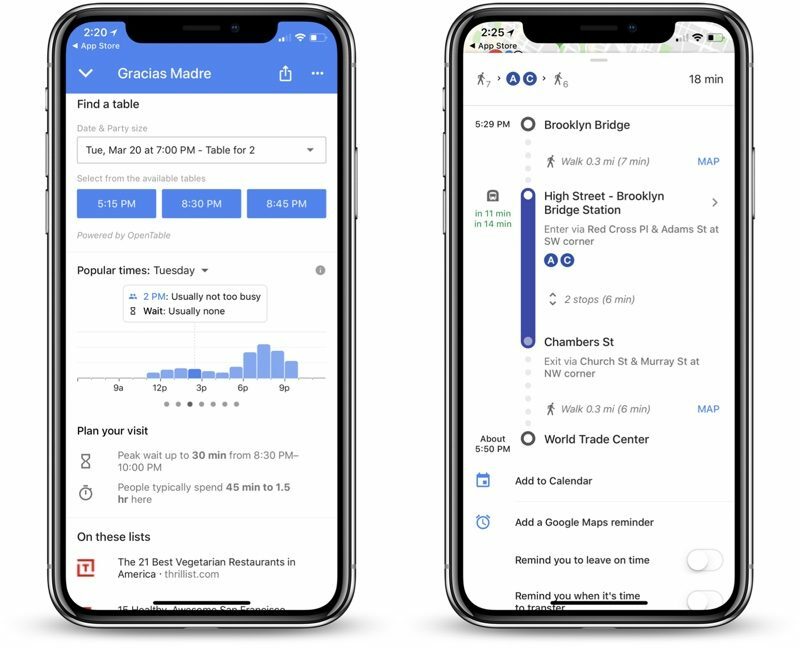 iOS users should download the latest version of Google Maps so they can take advantage of some new transit features. Version 4.47 of Google Maps brings additional details when getting directions via public transit. Rather than highlighting the intersection where an underground train entrance is and expecting you to find it, Google Maps will tell you exactly which entrance you need to go into to take the correct train. For instance, on some New York City Subway lines, the entrance may only serve one direction of the train and a rider may not realize it until they realize the stops are in reverse order. This feature is available now in New York, Hong Kong, Taipei, Paris, Los Angeles, Delhi, Moscow, Singapore, Madrid, Barcelona, Kiev, and Budapest with more cities on the way. You’ll also be able to find more helpful reviews within Google Maps. The update lets you sort through reviews so you can find the one that’s most helpful to you. Additionally, restaurant wait times will be available for over one million restaurants around the world. Currently, these features are only rolling out for iOS. The Android version should be getting these new features in the near future. Head over to the App Store on your iPhone to grab the update.